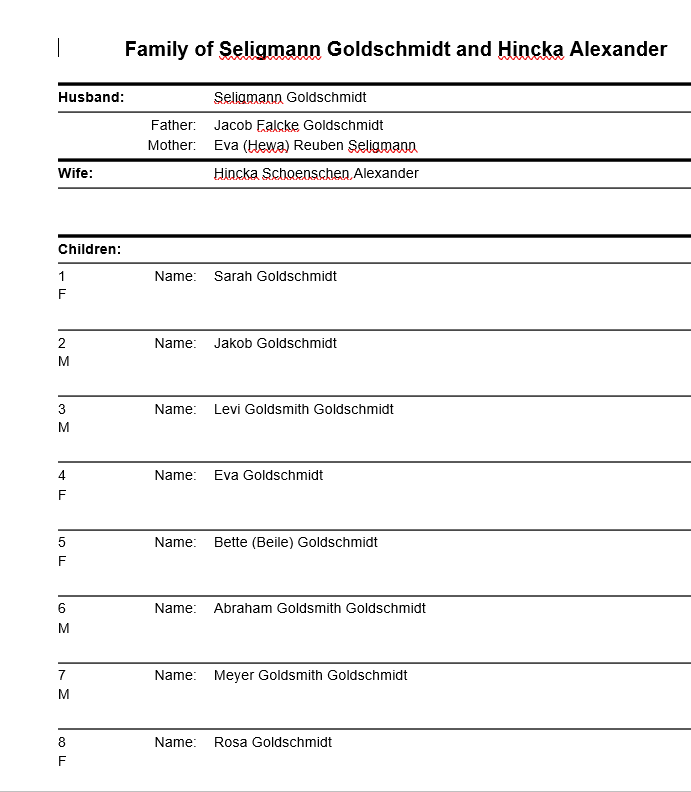 As I wrote in my last post, the earliest Goldschmidts to leave Germany and come to the US were the family of Simon Falcke Goldschmidt, brother of my three-times great-grandfather Seligmann Goldschmidt. 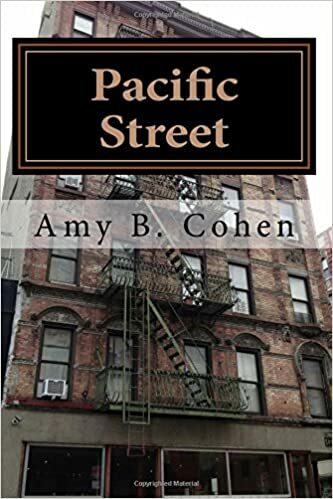 Simon had arrived in 1845 with his second wife, my three-times great-aunt Fradchen Schoenthal, and by 1860 he and all his children including those from his first wife Eveline were living in western Pennsylvania, most of them in Washington, Pennsylvania. During this same period, almost all the children of my three-times great-grandparents Seligmann Goldschmidt and Hincka Alexander were also emigrating, though they chose to settle in Philadelphia, about 300 miles east of their relatives in the western part of the state. The first of Seligmann and Hincka’s children to arrive was their oldest son Jakob. Jakob was born on October 22, 1822, making him about three years older than his first cousin, Simon’s son, also named Jakob Goldschmidt; both cousins changed their names to Jacob Goldsmith once in the US. To make matters even more confusing, both Jacobs married women named Fannie. Maybe Seligmann’s Jacob chose to settle in Philadelphia and Simon’s across the state to minimize confusion for some not-yet-born family historian? To distinguish the two Jacob Goldsmiths I will refer to Seligmann’s son as Uncle Jacob as he was my three-times great-uncle, and I will refer to Simon’s Jacob as Cousin Jacob, as he was my first cousin, four times removed. 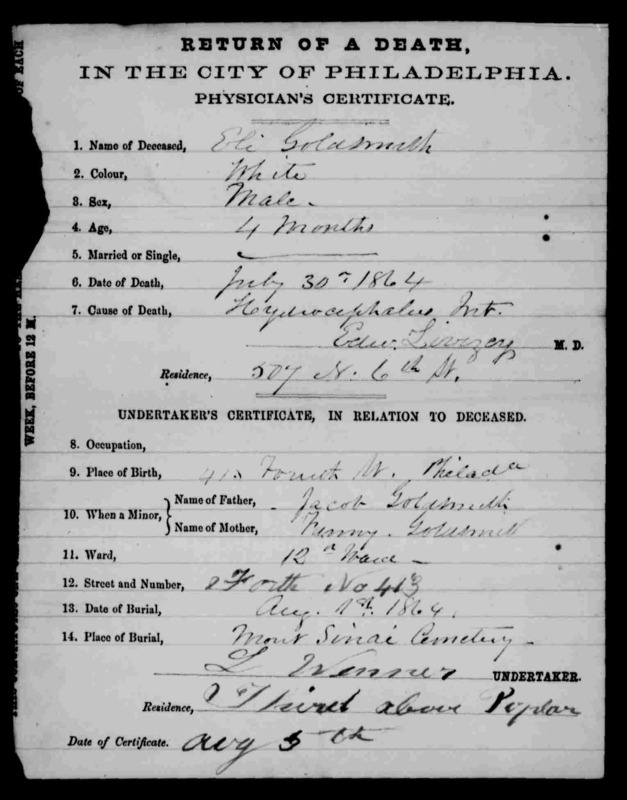 Eli Goldsmith death record “Pennsylvania, Philadelphia City Death Certificates, 1803-1915,” database with images, FamilySearch (https://familysearch.org/ark:/61903/3:1:S3HT-DHR6-H?cc=1320976&wc=9F5Z-T3D%3A1073282601 : 16 May 2014), 004010010 > image 197 of 1250; Philadelphia City Archives and Historical Society of Pennsylvania, Philadelphia. Searching the Philadelphia newspapers for 1860-1870, I found this little news item about a donation made by Jacob Goldsmith to support the soldiers fighting in the Civil War; based on Jacob’s business address in the 1862 Philadelphia Directory (338 Market Street, which is at the corner of 4th Street), I am reasonably certain that this refers to my uncle Jacob Goldsmith. 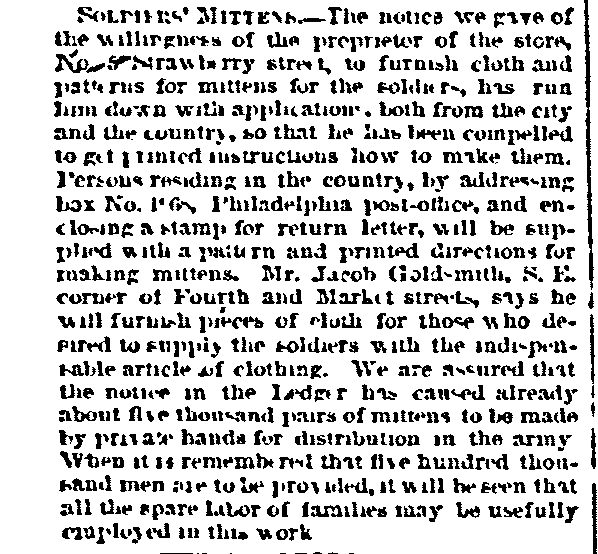 “Soldiers Mittens, ” Philadelphia Public Ledger, November 26, 1861. On the 1870 census, Jacob and Fannie were living with their five younger children. Jacob was working as a merchant and claimed he owned $8000 worth of real property and $2000 worth of personal property. Their oldest daughter Caroline was no longer living at home in 1870, having married Nathan Rice in 1869; Nathan was born in Philadelphia in 1842 to German immigrant parents, Joseph Reiss and Elizabeth/Betsy Kohn (the spelling was later changed to Rice). In 1870 Nathan and Caroline were living in Dubuque, Iowa, with Nathan’s parents, and Nathan was working as an agent for a wholesale clothing company. His father’s occupation was “retired clothing dealer,” so perhaps Nathan was working in his father’s former business. Caroline and Nathan’s first child, Rena, was born in Iowa in the spring of 1870 and was one month old on June 1 when the census was taken. Thus, Uncle Jacob was well established in Philadelphia by 1870 with a large and growing family. He also was joined by several of his siblings during this time, as we will see in my next post. That separation did not last, however. By 1870 Cousin Jacob had moved from Washington to Philadelphia. I spent an entire day trying to decipher which Jacob was which on the 1870 and 1880 census records since both were living in Philadelphia, both had wives named Fannie, both were in the clothing business, and both had many children, including several with the same names. It was a long day! This entry was posted in Genealogy, Goldschmidt/Goldsmith, Philadelphia and tagged Goldschmidt, Goldsmith, immigration, Philadelphia by Amy. Bookmark the permalink. I had to smile when I read, “minimize confusion for some not-yet-born family historian.” I’m sorry and I know it is very frustrating trying to keep everyone apart, but I do enjoy reading how you keep it straight. Another great post, which gives ample testimony about your tenacity and enthusiasm regarding your family research. It must be tough to find clarity about different people with similar names, backgrounds and location. My former principal of the German Saturday School in Calgary had a name that nobody could pronounce properly. He eventually changed his name from Köpe to Cope. So it is not surprising to read about a name change from Reiss to Rice. I do find German vowels, especially those with umlauts, very difficult—the subtle differences between the vowel with and without the umlaut are lost on my ears. Would Reiss be said differently from Rice? I just assumed it was to appear either less German or less Jewish, depending on the timing. Thanks, Peter! ‘ei’ is the English ‘i’, so Reiss and Rice sound the same. As I thought. Just a change to Americanize not, not to make it easier to say. Thanks. Just when you think it is confusing, it gets even more confusing – too men with the same name marrying women with the same name? Oy vey! LOL! Oy vey is right—especially when they’re so close in age, in the same business, born in the same place, and even have some children with the same names! It is so wonderful that so much of your families history has been recorded ~ like the newspaper articles. It really rounds out the story when you find these gems. I am so struck too about the longevity of your family being here and really establishing themselves in the mid 1800’s. Oh and thank you for Cousin and Uncle it sure helped! I am goggly eyed over Jacobs duplicate names! I do feel lucky every time I find a newspaper article. It does add that human element. And I also am amazed by how long ago some of my ancestors arrived. My father’s ancestors were in the US for the most part before 1860! Thanks, Sharon! I love that about the donation made for the Civil War soldiers! What a fabulous discovery from a time so long ago! The ad is a great find, too, but the donation is WOW. Thanks! I loved that also. I had to chuckle to myself about your long day. I’ve had plenty of that kind of days. One of them stretched on and on for three years before I could untangle the two James Youngs & Janet Robertsons. However, I still don’t know if they are related to each other. Still working. Haha. I was surprised by the death from hydrocephalus. I hadn’t really thought about it as a new problem, but I’ve never come across it on any death records in my family. It made me wonder about different illnesses/conditions/diseases that were not always present in the human population. Or at least identified, named, and then used as a diagnosis. Interesting to consider. I also was surprised to see that—sometimes I think we think everything was discovered in our lifetime. I am always surprised to see cancer diagnoses in the 19th century—how did they know without all our modern ways of testing? I have wondered the same. I have plenty of death certificates from Scotland in the 19th century that list cancer as the cause of death. My stepfather was Leo Katzenstein from Johnstown. My name is Mary pat Smith . My Mom married Lee in 1952..and we moved to Miami in 1953. . My youngest Sister was Rebecca and she passed away several years ago from cancer. Lee was her father so I just wanted you to know there was another decendant of the Katzensteins . She had 2 children a son and Daughter . Hi Mary, thank you so much for this information. I will drop you a line by email!